We adopt the silica colloid technique to manufacture castings in material of stainless steel, carbon steel, alloy steel and cast iron. We have advanced CNC equipment for precision parts. Our main products are marine hardware, construction hardware, impeller, valve parts, pump parts, pipe fittings and auto parts. 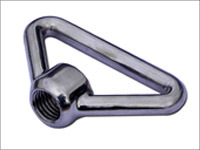 We can manufacture investment castings and machining parts as per your samples or drawings.